AC Milan have reportedly received an offer from Roma who are keen on Suso while it’s claimed that Paris Saint-Germain ace Adrien Rabiot is on the Rossoneri’s radar. 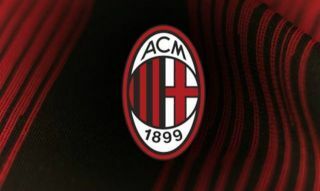 Gennaro Gattuso will be looking to secure Champions League football for next season after Milan disappointingly finished in sixth place for a second consecutive campaign last year. While they’ll also be in the Europa League, the Italian tactician will need a squad with quality and depth, and speculation continues to suggest that they’ll have a busy end to the summer transfer window. As reported by Calciomercato, Roma have submitted an offer of €18m plus Diego Perotti in a swap deal for Suso, and so it remains to be seen as to whether that’s enough to convince Milan to part company with the Spaniard. Suso, 24, has consistently been a creative spark for Milan over the past two seasons, and although he still struggles with inconsistency, he did contribute eight goals and 14 assists in 50 appearances last season in his key role on the right wing. In turn, he would appear to be a fundamental part of Gattuso’s plans moving forward, but it remains to be seen whether or not the insertion of Perotti into the deal to act as a replacement could sway Milan. Meanwhile, MilanNews.it report that the Serie A giants are keen to bolster their midfield ranks and have enquired about Rabiot, with the Frenchman’s current contract set to expire next summer. Gattuso relied heavily on his preferred trio of Giacomo Bonaventura, Lucas Biglia and Franck Kessie last season, and with Milan looking to compete on multiple fronts, quality depth is needed in that department. Rabiot has proven during his time with PSG that he has the technical quality and creativity to flourish at the highest level while he has a winning mentality given his trophy haul with the club. Time will tell though as to whether or not he can be convinced over a move to the San Siro with ESPN noting that he’s close to signing a renewal with the Ligue 1 champions.